This is a cropped tank with a smocked bodice, adjustable straps and a self-tie at the front. It's made with a lightweight modal. Got this in white and it’s just beautiful. The crinkled texture gives a casual feel but the top itself still feels dressy. Perfect summer top. very cute top with brilliant colors! 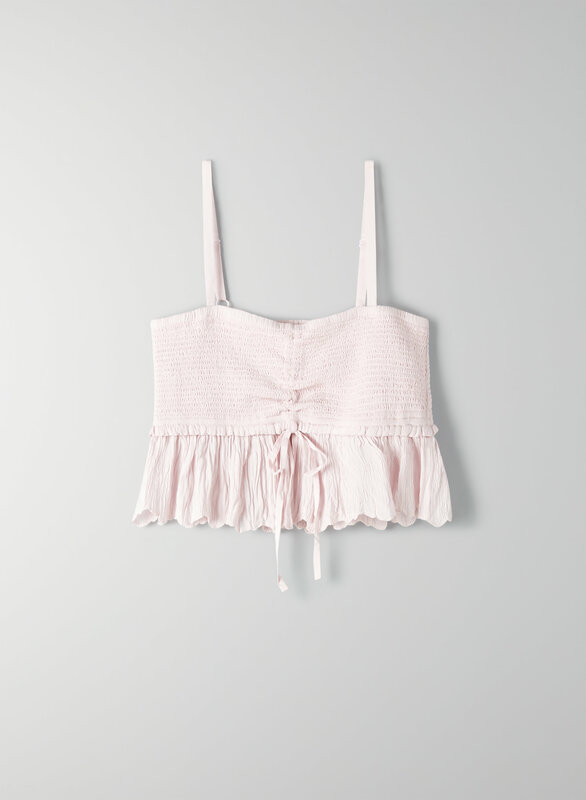 I have two of this top in red and magnolia and they work perfectly with my high-waisted pants or skirts. I highly recommend! Super cute but runs a tad small. Great beach outfit with the matching pants !